The kids bathroom is not really used as that. It's mostly the room that I shower in and the kids use the toilet in the middle of the night. This makes it the perfect stuff to stash all that "stuff" we have no idea what to do with. It has been a few years since I really looked at what was in there so it was a good exercise to go through it again and find some treasures! 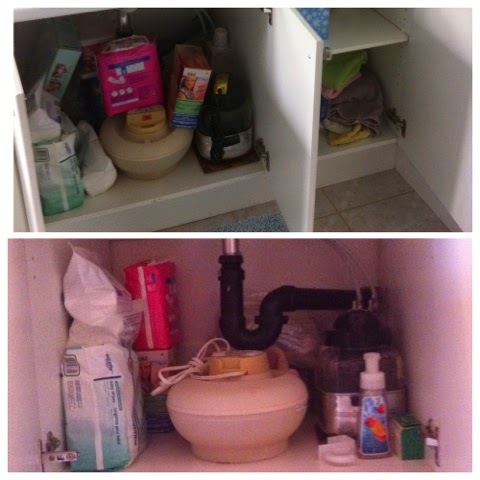 I followed FlyLady's Zone 3: Bathroom Detailed Cleaning List. When you are so overwhelmed and don't know where to start, having a list from someone who knows what they are doing really helps. I also followed her 15 minute daily challenges that she emails and I washed the window and screen. So much nicer! A miscellaneous cupboard that mostly houses humidifiers and baby wipes. 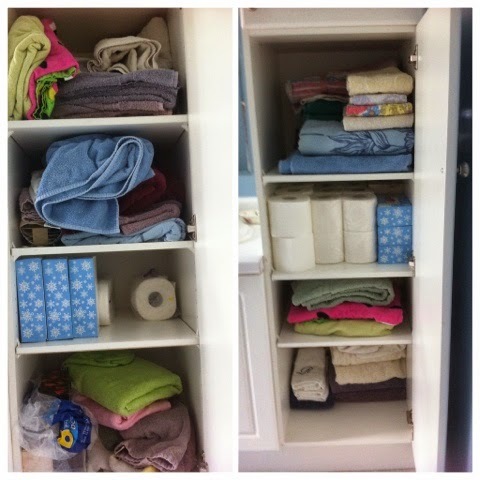 One of my favourite before & afters is the towel and toilet paper/tissue cupboard. I found some pretty towels and took them out to display. We also got a lot more hand towels to use on the main floor bathroom. 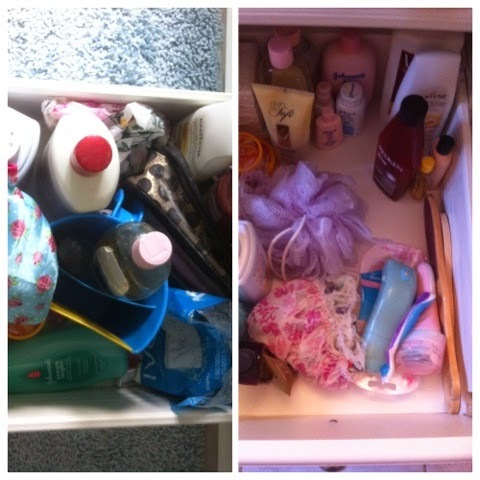 Ah yes, the shampoo and body lotion drawer. All shower accessories that have been forgotten. It's like going shopping in your own home! Now I'm excited to use some of the now-found soaps. So easy to throw stuff in after an injury or during an illness. Tidied and a bag started of expired medications to bring to the pharmacy on the next visit. What is your favourite part of cleaning a bathroom? 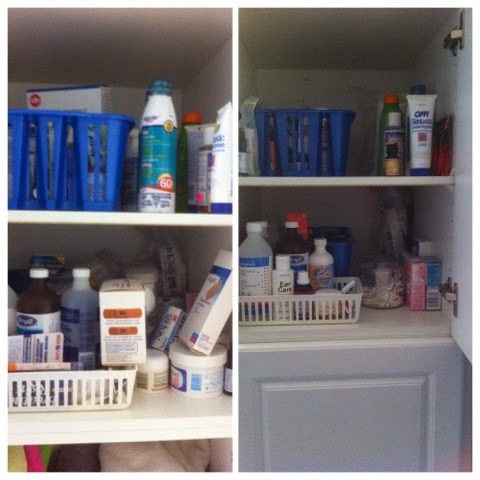 How often do you clean out your medications?